Teamwork. The bond that players develop throughout a season became the biggest key to our win at the Kanto Plain tournament. The mental and physical challenges at games and practice pushed every field hockey player to a new level throughout the grueling winter months. 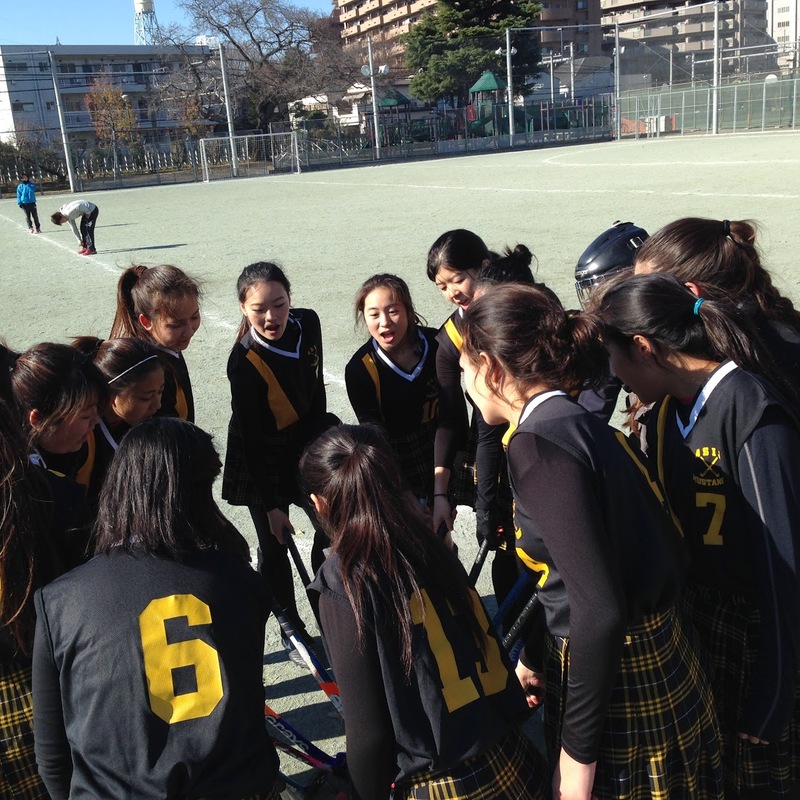 It had been a struggle the whole season to win against our key rivals, the YIS Dragons. During our match against the CAJ Knights, we were a little more confident. The pinnacle of our season was the day of the tournament when all of our hard work was tested and found true. We started our final game against the Dragons with a loud cheer. We were ready! The referee blew the whistle. This would be the last chance for us to come out on top. We played a solid game and kept in front. Hard work pays off. As I looked up at the clock on the scoreboard, and with 10 seconds left, I realized it was the countdown to the end of our season. Excitement filled my heart, tears filled my eyes….